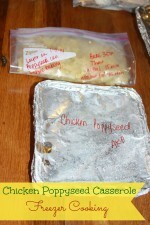 We tried this recipe last month for our Freezer cooking night, this recipe was adapted from THIS recipe. The original recipe was to put in a slow cooker but I thawed my chicken and baked, then reduced the sauce on the stove. Put everything in a gallon freezer bag and freeze. When you are ready to have it for dinner throw it frozen in the slow cooker on low for 8 hours or if thawed cook for 6 hours. 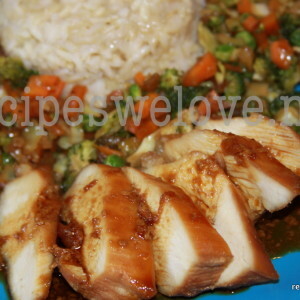 Place Thawed chicken and marinade into a baking dish and back at 350 degree for about an hour. If the sauce is not thick enough reduce it on the stove to thicken. 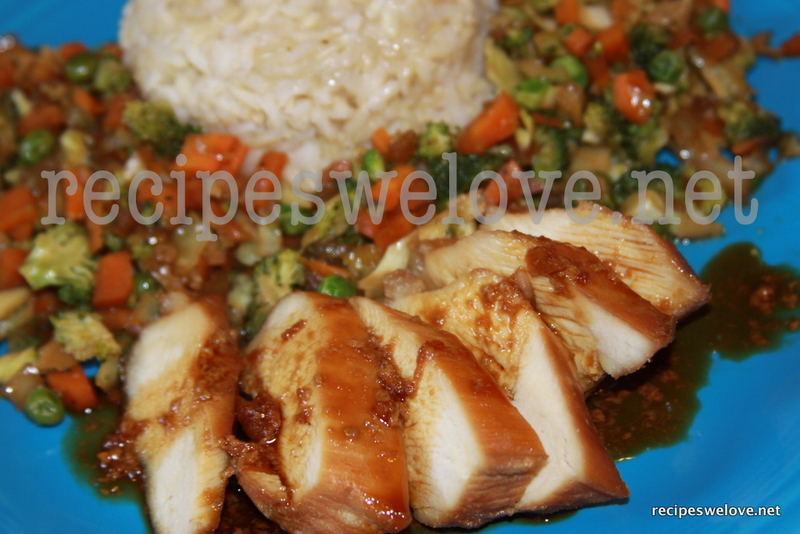 Serve with Rice (brown rice is freezer friendly if you want to cook it ahead of time too) and steamed broccoli or carrots.